801-872-8873 801-872-8858 801-542-8282 Each Visiting Angels agency is independently owned and operated. 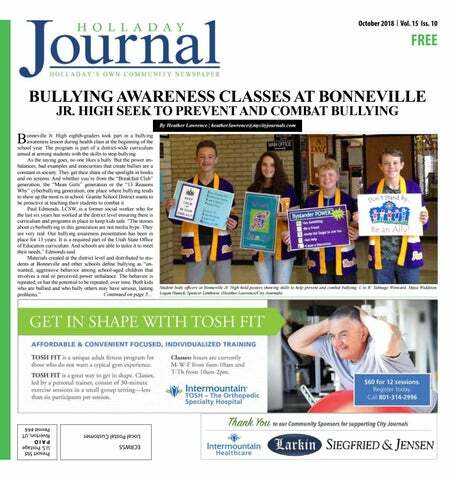 A little girl’s dream comes true for Erin Berrett By Lindsey Baxter | l.baxter@mycityjournals.com The Cottonwood-Holladay City Journal is a monthly publication distributed directly to residents via the USPS as well as locations throughout Cottonwood and Holladay. 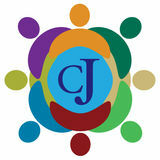 For information about distribution please email circulation@mycityjournals.com or call our offices. Rack locations are also available on our website. For subscriptions please contact: circulation@mycityjournals.com The views and opinions expressed in display advertisements do not necessarily reflect or represent the views and opinions held by Loyal Perch Media or the City Journals. This publication may not be reproduced in whole or in part without the express written consent of the owner. and can enjoy a fantastic night out. “One of the things that makes us unique — it’s about the food trucks — but it’s about more than that,” said Ben. “We really just want to make this an awesome place for people to be. 385.528.3712 Seasonally Focused Modern American Cuisine using local products and produce directly sourced from the on-site culinary garden. 801-647-8764 (cell) carolspackmoss@gmail.com Twitter: @RepCarolMoss Facebook: RepCarolMoss Instagram: @RepCarolMoss Paid for by the Commitee to Elect Carol Spackman Moss. Now Selling, Pepperwood View in Sandy by Ivory Homes! LOOKING FOR PART-TIME WORK? WANT FLEXIBLE HOURS WITH HOLIDAYS AND WEEKENDS OFF? Breakfast, Lunch and Dinner positions available! 15 to 40 Hours per week with Flexible scheduling! Hiring at over 100 schools within the district. Pay starts at $11.89 per hour. Canal & GUtter CleanInG Over the past year, utility company ofﬁcials and City staff have documented an increase in the amount of debris, including yard and other types of waste, illegally deposited in canals in Holladay. Also, with the onset of Fall, street gutters are often susceptible to collecting leaves and other debris. The canals and street gutters collect storm water in our community and serve as important components of the City’s ﬂood control system. Allowing debris to build up in these facilities will block the ﬂow of water and increase the potential for pooling and property damage. Help keep the water moving – keep the canals and gutters clean. Please DO NOT dispose of any type of waste in the City’s water ways! side of the canals and ditches); (5) trees located on parcels for which a City permit would be required in order to conduct demolition, building or development activities; and (6) trees on unoccupied property which are to be “clear cut”. (The ordinance describes “clear cutting” as “the removal of 60% or more of the tree canopy”.) No other trees are protected. In instances where a person seeks to remove trees belonging to one of the above categories, the proposed ordinance will require the obtaining of a permit from the City, the issuance of which will be contingent upon the submission of a tree replacement plan. Such a plan will require that at least half of the replacement trees be planted on the property. Replacement deciduous trees must be at least one and one-half inches thick; coniferous replacements will be at least eight feet tall. The City Council will hold a public hearing on October 11 at 6:00pm in the Council Chambers on the new ordinance, with a vote expected in November. A copy of the proposed ordinance can be found on the City’s website – www.cityofholladay.com. State Code requires vehicles to stop for pedestrians entering crosswalks. Be aware of pedestrians as you make left and right turns at intersections. Never pass or overtake a vehicle stopped for pedestrians. School is in session and Halloween is fast approaching, which means our roadways will be more frequently utilized by pedestrians. I hope we can all be more cognizant and aware as we travel our streets to ensure we can all arrive at our destinations safely. Fall Leaf Collection The annual Fall Leaf Collection Program will begin on October 16 and last through November 30. During this time Holladay residents can pick up leaf bags at: • Holladay Lions Fitness Center: 1661 E. Murray Holladay Rd. • Mt. Olympus Senior Center: 1635 E. Murray Holladay Rd. • Holladay City Hall: 4580 S. 2300 E. Holladay City WILL NOT have a drop-off location for Leaf Bags this year. Bags can be dropped off at the following locations beginning on Oct. 16 (NOT BEFORE): • Millcreek: Cottonwood Ball Complex: 4400 S. 1300 E. • Cottonwood Heights: Bywater Park: 3149 E. Banbury Rd. (7420 S.) PLEASE DO NOT drop off bags at City Hall. WFWRD leaf bags are limited to 1 roll (10 bags) per household, and available while supplies last. Residents can also use and drop off their own purchased leaf bags or lawn bags, as long as they only contain leaves. HOWL-O-WEEN Pet Safety Tips By Salt Lake County Animal Services Halloween can be a lot of fun for humans but pets may not appreciate the costumes and candy. Protect your pets from Halloween dangers with these tips! 1. Keep candy out of reach: All forms of chocolate and the artiﬁcial sweetener can be poisonous to dogs & cats. Call your emergency vet if your pet has eaten either. 2. Keep pets conﬁned and away from the door: Dogs may be likely to dart out the door, or become anxious with trick-or-treaters in costumes and yelling for candy. Put them in a crate or a backroom and keep everyone safe. 3. Close the blinds or drapes, disconnect doorbells: If your dog reacts every time someone walks by or rings the doorbell close the drapes and disconnect the doorbell. 4. Keep outdoor pets inside before and after Halloween: Keep dogs and cats indoors to prevent them from being injured, stolen, or poisoned as part of a Halloween prank. 5. Don’t approach dogs while in costume: Even if you know the dog, a strange costume or mask can frighten them. They may not recognize you in costume. If a dog escapes a house or yard and runs up to you, tell your child to stand like a tree, and wait for the owner to grab the dog. 6. Test out pet costumes before: Make sure the costume isn’t causing them distress, or giving them an allergic reaction. It shouldn’t restrict their movement, ability to breath, bark or meow. 7. Leave them at home: It may be best with all the distractions to leave your pet at home while trickor-treating. Take them for a walk earlier in the day before the ghosts and goblins come out for the night to spook them. Is your pet microchipped? Don’t forget all pets in Salt Lake County can receive a free microchip at our location, 511 W 3900 S, in Salt Lake City. Animal Services is open Monday – Saturday, 10 AM – 6 PM. Check out our website, AdoptUtahPets.com for more information. Holladay City Residents – General Election Information Below is information that will assist voters in participating in the November 6th General Election: • If you need to register to vote, the mail-in voter registration deadline is October 9th, or you may register online at vote.utah.gov until October 30th with a Utah Driver’s License or State ID Card. • If you are registered to vote within Salt Lake County and have moved within the County, you can update your information by phoning the Election Division. • Same-Day Voter Registration is available at Early Voting Locations and Election Day Vote Centers for those who haven’t previously registered to vote. (Identiﬁcation and proof of residency is required for Same-Day Registration. A list of ID options is available on the website.) Salt Lake County Elections are conducted mainly by mail in conjunction with Early Voting and Election Day Vote Centers. • Ballots will be mailed to registered voters the week of October 8th. • A postage-paid return envelope will be provided. for the 4th Annual Holladay History Night A new DVD, Chapter 4 of Holladay’s history will be shown . . . coupled with displays, pictures, artifacts, pioneer entertainment and refreshments. “ “ Our Mission is to Improve People’s Lives. ou’re never too old to trick-or-treat (unless you are 35 and going by yourself, then yes, you are too old to trick-or-treat). But being safe knows no age limits, especially on a night when most people are wearing disguises. While it’s time to get your costume and candy bag ready, preparation of another kind is required for kid and adult alike. Here are some tips to stay safe this Halloween. 1. Avoid trick-or-treating alone. Walk in groups or with a trusted adult. 2. Costume accessories such as swords and knives should be short, soft and flexible. 3. Examine all treats for choking hazards and tampering before eating them. And as difficult as it may be, limit the amount of treats you eat. 4. Beware the homemade treats made by strangers. Better to eat only factory-wrapped treats. 5. Walk from house to house, don’t run. Doing so with a flashlight will help you see and others to see you. 6. Test makeup in a small area before applying. Then remove it before sleeping to prevent possible skin or eye irritation. 7. Look both ways before crossing the street. Do we even need to say this one? 8. Only visit well-lit houses. 9. Do not enter a home without a trusted adult. 10. Never accept rides from strangers. Stranger danger is a real thing. It is almost flu shot season! No appointment necessary at Medallus Medical! Medallus Medical has 9 clinics throughout the Salt Lake Valley. Call or go online to find one nearest you. 42-0 over Granger and 35-0 over Brighton. Only Kearns has managed to put up a fight early on against the Titans. That was a 24-6 game at the half before Olympus outscored the Cougars 25-6 in the final two quarters. With results so one-sided, it’s not surprising the season has featured some impressive individual performances from Titan players. Through four games, quarterback Jackson Frank had thrown for 779 yards, 10 touchdowns and just one interception. His favorite target up to that point was Scotty Edwards, who hauled in eight catches for 275 yards and four TDs. Jack Hollberg also had eight catches in the first four games, totaling 198 yards and a pair of scores. Noah Bennee had seven grabs for 228 yards and two TDs. On the ground, Olympus has churned out yardage in chunks. Edwards had just eight carries in the first four games but for 210 yards — an astonishing 26.3 average per carry. Chase Bennion had the most carries — 24 — and went for 252 yards and three touchdowns. He averaged a healthy 10.5 yards every time he carried the ball. Hollberg had 19 carries for 176 yards (a 9.3 yards per carry average), and Tommy Poulton had 14 carries for 194 yards (13.9 yards per carry) and a team-leading five touchdowns. Chase Hopkins chipped in 113 yards on 12 carries during the first four outings. The defensive effort has been outstanding. Olympus’ Noah Bennee has been one of the team’s football stars this past season. ast season, the Skyline girls soccer team went toe-to-toe with East for the Region 6 championship. This season, the Eagles are once again battling for top honors. Skyline won six of its first eight region contests. Overall, the Eagles were 9-4 as of Sept. 26. The Eagles actually started off region play a perfect 3-0 but fell to Murray in lopsided fashion, 4-1, on Sept. 11. The second half did the Eagles in against the Spartans. Trailing just 1-0 at the break, the Eagles were outscored 3-1 in the last 40 minutes of action. In Skyline’s six wins during the eightgame stretch, the defense only allowed a single goal. This gave the Eagles six shutouts on the year. The Eagles opened league play Aug. 28 with an easy 8-0 rout of West. The game was for all intents and purposes over at halftime when Skyline raced to an insurmountable 5-0 advantage. The three second-half goals merely padded the lead, as five Eagles found the back of the net. Leading the way was sophomore Zoe Garver, who troubled the West defense with three goals. Ella Kortbawi added two goals, while Ani Jenson, Jade Cornaby and Savannah Deaver each had one. The Eagles’ had two shutout wins in league play of the closer variety — both 1-0 nail biters. If you’re reading this, so are your customers. • Experience • We come to you • Flexible hours • Buy 2 Get 1 Free! Try our Chile Verde Burritos and Carnitas! Vegetarian & Gluten-Free Dishes available. We CaTer eVenTs oF all sizes. 13 community newspapers serving 15 cities for over 27 years. Reasonable Prices, Quality Work, Prompt Service Flat work, Driveways, Patios, RV Pads, Sidwalks, Etc. How can I save lives? Have you been told you have an antibody? $20 BONUS on your second donation Coupon good for the GRIFOLS Biomat in Taylorsville. Did you know it takes 1,200 plasma donations to supply a Hemophiliac with a year’s supply of medication? There are approximately 400 families here in Utah with one or more family members suffering from a rare blood disorder. Your plasma donations help to save lives right here in Utah.